On days when it’s not raining or below 16 degrees with snow or ice on the ground, my daughter and I usually ride our bikes to school. 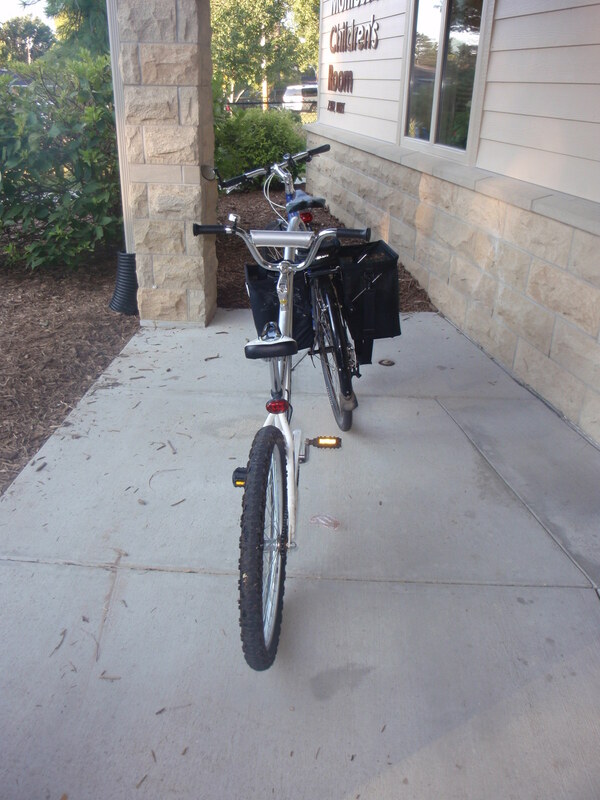 We hook up her tag-a-long (trailer cycle) to my commuter bike and head down (and then up) the hill each morning. I unhook the tag-a-long and leave it at school until my husband or I pick her up. I started doing this about 2 years ago, very tentatively. Before then, we drove both ways because there really was no other reasonable option; it was too long to walk or it would involve transferring buses at Bergen Mercy (and waiting a long time in between). When friends gave us a hand-me-down tag-a-long, we decided what the heck, let’s see if we can bike the 2½ miles to school. I wanted to get some exercise and this offered the perfect solution to get in a workout before the work day got started. There was the added incentive of saving a bit on gas, feeling good about conserving energy, and getting some quality one-on-one time with my daughter. We can now get to school in the morning in less than 15 minutes (it took us 10 minutes one way by car) and I can get to work or back home in about 10 minutes. All told, riding takes only about 5-10 minutes more than driving and there’s no need to find more time to go to the gym later in the day. On the first day, I think we probably took the hilliest, least-safe route possible because we didn’t know any better. Now, we’ve got a pretty good route, but it is a bit convoluted and rough in patches. We use trails when we can and low-traffic side streets, but one section—Cass Street between 69th and 73rd—is a bit scary so we ride on the sidewalk. Even then, it’s no simple matter to get across streets, especially during rush hour. I hope one outcome of the updated transportation master plan is a safer route through this area. 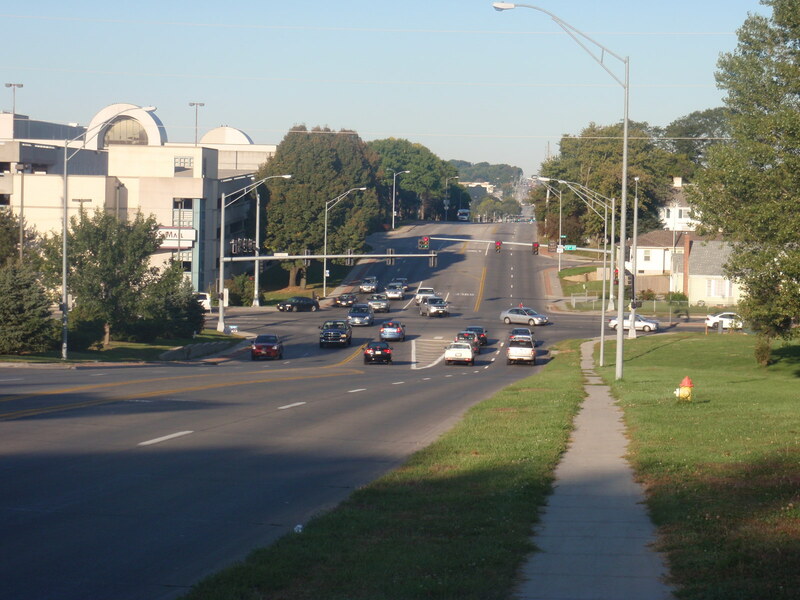 This requires most likely an East-West bike lane that can get us to the area around Crossroads, signals that allow bicyclers (and pedestrians) to cross without fear of cars turning into them, and more educated and attentive drivers. Cass Street from 69th to where it merges into Dodge Street to the West seems like an ideal spot for such interventions—it could connect up the bike-friendly roads of Fairacres with the Crossroads area and the Keystone trail. If this happened, I’ll bet my daughter wouldn’t be the only one to bike to her school each day. Want to get started with biking (or walking) with your kid(s) to school? Find a route (or two) by using google.maps or this commuter map from Activate Omaha. Choose the right bike set-up. Do a practice ride or walk. Find some friends and neighbors to ride or walk with you. Get your school involved in Safe Routes to School.